Eugene native Matt Butler grew up in a musical family. "My mom was one of the founders of the Eugene Symphony," he notes. "She plays violin in the orchestra." 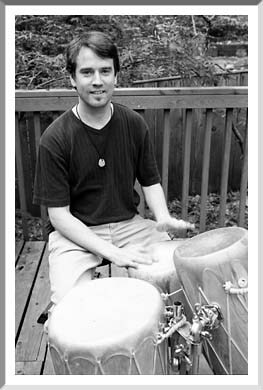 Butler took up drums at an early age, and played piano through high school. In San Diego for college, he and fellow South Eugene grad Chris Haugen founded the band Jambay in 1989. "Jambay toured relentlessly for eight years," he says. "We did a lot of music, but even more driving!" Now the father of two young children, Butler stays closer to home in Eugene, where he plays local gigs, composes, and produces recordings. He still gets out of town on occasion to manage his personal social-activist project, the Everyone Orchestra, a varying group of all-star musicians that he has assembled to play benefit concerts in Cincinnati, New Orleans, and now Eugene. The ninth EO performance (since 2001) is scheduled for Thursday, April 29, at the McDonald Theater. "The idea is to get great players together on stage," Butler says. "I call it 'music games' -- beautiful things can happen." The concert will benefit Portland's Pangea Project, a non-profit engaging low-income kids in service activities).